Jefferson Medical College of Thomas Jefferson University, Philadelphia, Pennsylvania, U.S.A.
Acne is an extremely complex disease with elements of pathogenesis involving defects in epidermal keratinization, androgen secretion, sebaceous function, bacterial growth, inflammation, and immunity. In the past 30 years, much has been worked out, and we now have a fairly detailed understanding of the events that result in an acne pimple, although there is also much left to be discovered. The initial event in acne is the formation of comedo, a plug in the follicle, which is termed "open" if a black tip is visible in the follicular orifice and "closed" if the opening has not distended enough to be visible without magnification. Patients (and their mothers) erroneously conclude that this black tip is due to dirt in the follicle. Rather, it represents oxidized melanin and perhaps certain sebaceous lipids (1,2). The earliest lesion is termed microcomedo and is clinically inapparent, but is the lesion that gives rise to inflammatory acne. Microcomedones are best visualized by harvesting them using cyanoacrylate glue (3). By this method, micro-comedones are seen to be numerous on the skin of acne patients, and much less prevalent and less robust on the skin of normal individuals. Comedo formation begins with faulty desquamation of the follicular lining. Instead of shedding as fine particles, the epithelium comes off in sheets that are incapable of exiting through the follicular orifice, and hence a plug results. Concentric laminae of keratinous material fill and distend the follicle. This process is first detectable at the junction of the sebaceous duct and the follicular epithelium and involves in distal cells later. The granular layer becomes prominent, tono-filaments increase, and lipid inclusions form the desquamated keratin (1,4). Most comedones contain hairs, usually small vellus hairs, and the age of a comedo may be reflected by the number of hairs that it contains (5). Terminal hairs are almost never seen in comedones. It may be that the presence of a stout hair in the follicle provides a mechanical opening that prevents comedo distention. Is it possible that the conversion of vellus to terminal hairs as acne patients mature is the explanation for the decrease in acne in the late teens and early 20s? The cause of the faulty desquamation that leads to comedo formation is not known. Comedones have been demonstrated before puberty, so activation of sebaceous secretion cannot be the key event (1). Many compounds have been shown to induce comedones in experimental systems (e.g., coal tar, sulfur, squalene, haloge-nated biphenyls, and cutting oils), but none are obviously relevant to the natural course of acne formation (6-8). Two experimental systems exist for studying comedo formation: the rabbit ear model and the backs of human volunteers. In general, the rabbit ear is more sensitive and forms plugs easily, but there is generally good agreement between the two systems for most compounds (6-8). Physical agents may also enhance comedogenesis. Favre-Racouchaut syndrome consists of severe photodamage accompanied by open comedones on the face (9). Mills et al. (10,11) have demonstrated that UV irradiation will enhance the comedo formation in the rabbit ear engendered by squalene, cocoa butter, sebum, and some sunscreens. Inflammation may also play a role in the formation of comedones. A ring of comedones may be occasionally seen around a large inflammatory nodule on the back of patients with severe acne. In vitro studies have shown that Propionibacterium acnes cell walls will induce follicular plugging in proportion to the degree of inflammation triggered by bacteria in the skin of rats (12). More recent studies in an in vitro model of the acne follicle show that cytokines such as interleukin (IL)1-a modulate the cornification of the epidermis and may be involved in the inflammatory induction of comedones (13,14). Another potential cause of comedo formation is the lipid contents of the follicle itself. Bacterial lipolysis will liberate fatty acids from sebaceous triglycerides that are comedogenic, but the presence of microcomedones in the skin of prepuber-tal children (who have no follicular microflora and no sebum) argues against a major role of bacterial action in early comedogenesis (15). Strauss et al. (16) have shown that the sebum of acne patients is relatively deficient in linoleic acid, perhaps reflective of high sebum secretion rates and have suggested that local linoleic acid deficiency may be involved in comedo formation. Further study of this possibility is warranted. The skin microflora is greatly influenced by the onset of puberty. Before this hormonal flood, the sebaceous gland is inactive and bacterial populations are low. The arrival of a lipid product with about 50% triglyceride on the skin greatly stimulates bacterial growth and selects bacteria that can effectively metabolize triglycerides. A once sterile follicle becomes the residence of P. acnes, an anaerobe, it metabolizes the glycerol fraction of triglycerides, which sterile follicle liberates with an extracellular lipase (17). Lipase cleaves triglycerides into fatty acids and glycerol, and the fatty acids remain in sebum in proportion to the P. acnes population (18). It was once thought that these fatty acids were the primary stimulants for inflammation in acne, but now they are believed to be a relatively minor contributor to the process. Although tens of millions of P. acnes present in a square centimeter area on the face (19,20), yet infection with the organism is rare and is typically postsurgical. It is truly a commensal, incapable of surviving in skin without unusual conditions. We may derive some benefits from P. acnes colonization. Group A streptococci are inhibited by fatty acids produced by P. acnes (21), which may account for the rarity of facial streptococcal impetigo after puberty. acnes populations are reason for the distribution of inflammatory acne lesions. The largest and most active sebaceous glands are located on the face, upper trunk, and arms, regions where acne is common (23). The lower trunk and distal extremities have negligible sebaceous activity, trivial P. acnes populations, and no acne (19). The severity of acne is also somewhat linked to sebaceous secretion and P. acnes populations. Teenage acne patients have higher levels of bacteria in their follicles than do age-matched controls (24). Although there is a good degree of overlap between acne and nonacne groups, in general, teenage acne patients have higher sebum production than their normal counterparts, accounting for their greater bacterial populations (25). 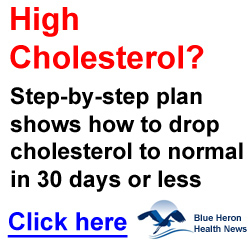 Interestingly, this difference is less pronounced in older individuals with the disease. Formation of acne pimples and pustules typically begins at the microcomedones formation. Kligman (1) has observed that visible comedones only, rarely, become inflamed and microcomedones have been shown to contain evidence of neutrophil activity, even though they came from areas of the skin with no acne lesions (26). The trigger for the inflammation of the microcomedo is the comedonal resident P. acnes that has many characteristics that incite the inflammatory and immune responses. The organism P. acnes is a potent activator of many facets of the innate immune system, and under the archaic name of Corynebacterium parvum, P. acnes has been found to be a potent macrophage activator similar to BCG (27). P. acnes makes chemotactic substances that attract neutrophils and monocytes. Low molecular weight peptides are produced as a consequence of postsynthetic protein processing by the organism. Neutrophils recognize these peptides by the same receptor as other bacterial chemotactic peptides (28,29) (Tables 1 and 2). These peptides are <2 kDa in mass and accumulate as the organism grows. Presumably small enough to leach out from an intact follicle, these compounds may be part of the initial stimulus for inflammation. P. acnes produces at least one other chemotaxin; the lipase that cleaves triglycerides in sebum is also attractive to leukocytes (30). P. acnes is a potent activator of the classic and complement pathways. It is the major and perhaps sole activator in the comedo (31) and complement deposition around the inflamed acne lesions is great (32). The alternative pathway activator is a mannose-containing cell-wall polysaccharide that shares characteristics with the macrophage-activating factor in P. acnes cell wall (33-35). In the classical pathway, the activation is through the formation of immune complexes with anti-P. acnes antibody. The more the antibody present, the more the activation occurs (36). Thus, complement activation and the subsequent generation of C5-derived che-motactic factors are greatest in patients with high levels of anti-P. acnes immunity. Abbreviations: IL, interleukin; MW, molecular weight; TLR, toll-like receptors; TNF, tumor necrosis factor. Toll-like receptors (TLRs) are more recently discovered components of innate immunity, which involve cell-mediated defenses in response to the pathogens in the absence of an immune response. Vowels et al. (37) have demonstrated that P. acnes stimulates proinflammatory cytokines such as IL-8, tumor necrosis factor (TNF)-a, and IL1-b in monocytes. Lee et al. (38) have shown that P. acnes cell-wall components activate TLR-2 in monocytes, resulting in the production of TNF-a, IL1-b, and IL-8 that attract both neutrophils and lymphocytes to the follicle. This process that is involved in acne is supported by the identification of monocytes in inflamed acne lesions, expressing TLR2 on their surfaces. Activation of TLRs by P. acnes also accounts for the observation that CD4-bearing lymphocytes appear at the comedo, early in the initiation of acne inflammation (39). Surprisingly, little is known about the processes involved in the healing of acne lesions, which often takes weeks to occur. Kligman (1) observed the evolution and healing of acne lesions and noted a late influx of lymphocytes and the formation of granulomas. Electron microscopy has shown these cells to be synthetically and metabolically active (40). The stimulus for the inflammation is probably persistence of P. acnes. The organism is unusually difficult for leukocytes to degrade. Injected P. acnes will remain in tissue for weeks, inciting ongoing inflammation (41,42). In vitro studies find that the organism is far more resistant to degra-dative enzymes from neutrophils and monocytes than a genuine pathogen such as Staphylococcus aureus (43) that is degraded within hours. In contrast, P. acnes degradation procedes at a glacial pace, requiring 24 hours for the release of only 10% of cell-wall mass supporting the observation of persistence of injected organisms after many weeks. The presence of elevated immunity to P. acnes may be the factor that determines the severity of a patient's acne. Other potential explanations such as elevated androgens and subsequent increased sebum secretion clearly may play a role in determining acne severity, but their influence is probably not the primary issue. It is known that virilized women may have more severe acne (44), but not all hyperandrogenic women fit this stereotype. In fact, many hirsuite, hyperandrogenic women have no acne at all, and among those who do have acne, it tends not to be particularly severe (45,46). Moreover, correction of the hyperandrogenicity typically results in an improvement, but not a complete resolution of the acne (47). Thus, virilization is permissive for severe acne, but not the prime factor that causes it. There is substantial evidence that a patient's anti-P. acnes immunity may be the factor that determines acne severity. Agglutinating and complement-fixing antibodies to P. acnes are elevated in proportion to the severity of acne inflammation (48-51). Lymphocyte proliferation in response to P. acnes antigens is likewise elevated (52,53). Skin test reactivity to comedonal contents and to P. acnes fractions is proportional to acne severity as well (54). There is substantial evidence that elevated immunity makes P. acnes a more potent inflammatory stimulus. Complement activation by comedonal contents is increased by the addition of anti-P. acnes antibody (31). Complement activation by P. acnes organisms in vitro is intensified by increasing amounts of anti-P. acnes antibody (33) and results in the generation of increased amounts of neutrophil chemoattractants. When neutrophils encounter the organism, they release destructive hydrolases into tissue in proportion to the amount of anti-P. acnes antibody present in the system (55). Thus, humoral immunity to the organism is proinflam-matory, rather than protective of infection, and most likely serves to intensify inflammation and tissue damage. Which then comes first, immunity or acne? In the absence of direct experimental data, the author would contend that the hyper-sensitivity to P. acnes is an inherited tendency and is the factor that accounts for many cases of severe acne in unfortunate families. What is the future of acne research? Much is left to be understood regarding the role of endogenous antimicrobial peptides and TLRs in controlling the inflammatory response in acne, and methods to decrease severe scarring are lacking. Kligman AM. An overview of acne. J Invest Dermatol 1974; 62:268 -287. Blair C, Lewis CA. The pigment of comedones. Br J Dermatol 1970; 82:572-583. Marks R, Dawber RPR. Skin surface biopsy: an improved technique for examination of the horny layer. Br J Dermatol 1971; 84:117-123. Knutson DD. Ultrastructural observations in acne vulgaris: the normal sebaceous follicle and acne lesions. J Invest Dermatol 1974; 62:288-307. Leyden JJ, Kligman AM. Hairs in acne comedones. Arch Dermatol 1972; 106:851-853. Kaidbey KH, Kligman AM. A human model for coal tar acne. Arch Dermatol 1974; 109:212-215. Morris WE, Kwan SC. Use of the rabbit ear model in evaluating the comedogenic potential of cosmetic ingredients. J Soc Cosmet Chem 1983; 34:215-225. Kligman AM, Kowng T. An improved rabbit ear model for assessing comedogenic substances. Br J Dermatol 1979; 100:699-702. Izumi A, Marples RR, Kligman AM. Senile comedones. J Invest Dermatol 1973; 61:46-50. Mills OH, Kligman AM. Comedogenicity of sunscreens. Arch Dermatol 1982; 118: 417-419. Mills OH, Porte M, Kligman AM. Enhancement of comedogenic substances by ultraviolet readiation. Br J Dermatol 1978; 98:145-150. Deyoung LM, Spires DA, Ballaron SJ. Acne like chronic inflammatory activity of Propionibacterium acnes preparations in an animal model. J Invest dermatol 1985; 85: 255 - 258. Guy R, Kealey T. The effects of inflammatory cytokines on the isolated human sebaceous epithelium. J Invest Dermatol 1998; 110:410-415. Guy R, Green MR, Kealey T. Modeling acne invitro. J Invest Dermatol 1996; 106: 176-182. Lavker RM, Leyden JJ, McGinley KJ. The relationship between bacteria and the abnormal follicular keratinization in acne vulgaris. J Invest Dermatol 1981; 77:325 - 330. Morello AM, Downing DT, Strauss JS. Octadecaenoic acids in the skin surface lipids of acne patients and normal controls. J Invest Dermatol 1976; 66:319-332. Leyden JJ, McGinley KJ, Webster GF. Cutaneous bacteriology. In: Goldsmith L, ed. The Physiology and Biochemistry of the Skin. London: Oxford Press, 1983:1153-1165. Marples RR, Downing DT, Kligman AM. Control of free fatty acids in skin surface lipid by Corynebacterium acnes. J Invest Dermatol 1971; 56:127-131. McGinley KJ, Webster GF, Leyden JJ. Regional variations of cutaneous propionibacteria. Appl Environ Microbiol 1978; 35:62-66. McGinley KJ, Webster GF, Ruggieri MR, Leyden JJ. Regional variations of cutaneous propionibacteria, correlation of Propionibacterium acnes populations with sebaceous secretion. J Clin Microbiol 1980; 12:672 -675. Speert DP, Wannamaker LW, Gray ED, Clawson CC. Related articles, Bactericidal effect of oleic acid on group A streptococci: mechanism of action. Infect Immun 1979; 26(3):1202-1210. Webster GF, Ruggieri MR, McGinley KJ. Correlation of Propionibacterium acnes populations with the presence of triglycerides on non-human skin. Appl Environ Microbiol 1981;41:1269-1270. Cunliffe WJ, Perera WDH, Thackray P. Pilosebaceous duct physiology III. Observations on the number and size of pilosebaceous ducts in acne vulgaris. Br J Dermatol 1970; 82:572-583. Leyden JJ, McGinley KJ, Mills OH, Kligman AM. Propionibacterium levels in patients with and without acne vulgaris. J Invest Dermatol 1975; 65:382-384. Pochi P, Strauss JS, Rao RS. Plasma testosterone and sebum production in males with acne vulgaris. J Clin Endocrinol Metab 1965; 51:287- 291. Webster GF, Kligman AM. A method for the assay of inflammatory mediators in follicu-lar casts. J Invest Dermatol 1979; 73:266-268. Cummins CS, Johnson JL. Corynebacterium parvum: a synonym for Propionibacterium acnes? J Gen Microbiol 1974; 80(2):433-442. Webster GF, Leyden JJ, Tsai C-C. Characterization of serum independent polymorpho-nuclear leukocyte chemotactic factors produced by Propionibacterium acnes. Inflammation 1980; 4:261-271. Puhvel SM, Sakamoto M. Cytotoxin production by comedonal bacteria. J Invest Dermatol 1978; 71:324-329. Lee WL, Shalita AR, Sunthralingam K. Neutrophil chemotaxis to P. acnes lipase and its inhibition. Infect Immun 1982; 35:71-78. Webster GF, Leyden JJ, Nilsson UR. Complement activation by in acne vulgaris, consumption of complement by comedones. Infect Immun 1979; 26:186-188. Leeming JP, Ingham E, Cunliffe WJ. Microbial contents and complement C3 cleaving activity of comedones in acne vulgaris. Acta Derm Venereol 1988; 68:469-473. Webster GF, Nilsson UR, McArthur WR. Activation of the alternative pathway of complement by Propionibacterium acnes cell fractions. Inflammation 1981; 5:165-176. Webster GF, McArthur WR. Activation of components of the alternative pathway of complement by Propionibacterium acnes cell wall carbohydrate. J Invest Dermatol 1982; 79:137-140. Cummins CS, Linn DM. Related articles. Reticulostimulating properties of killed vaccines of anaerobic coryneforms and other organisms. J Natl Cancer Inst 1977; 59(6):1697-1708. Webster GF, Leyden JJ, Norman ME, Nilsson UR. Complement activation in acne vul-garis: in vitro studies with Propionibacterium acnes and Propionibacterium granulosum. Infect Immun 1978; 22:523-529. Vowels BR, Yang S, Leyden JJ. Induction of proinflammatory cytokines by a soluble factor of Propionibacterium acnes implications for chronic inflammatory acne. Infect Immun 2000; 63:3158-3165. Kim J, Ochoa M-T, Krutzik SR, et al. Activation of toll-like receptor 2 in acne tiggers inflammatory cytokine responses. J Immunol 2002; 169:1535-1541. Norris JFB, Cunliffe WJ. A histological and immunocytochemical study of early acne lesions. Br J Dermatol 1988; 118:651-659. Lavker RM, Leyden JJ, Kligman AM. The anti-inflammatory activity of isotretinoin is a major factor in the clearing of acne conglobata. In Marks R, Plewig G, eds. Acne and Related Disorders. London: Dunitz, 1989:207-216. Sadler TE, Crump WA, Castro JE. Radiolabelling of Corynebacterium parvum and its distribution in mice. Br J Cancer 1977; 35:357-368. Dimitrov NV, Greenberg CS, Denny T. Organ distribution of Corynebacterium parvum labeled with I-125. J Nat Canc Inst 1977; 58:287-294. Webster GF, Leyden JJ, Musson RA, Douglas SD. Susceptibility of Propionibacterium acnes to killing and degradation by human monocytes and neutrophils in vitro. Infect Immun 1985; 49:116-121. Marynick SP, Chakmakjian ZH, McCaffree DL, Herndon JH. Androgen excess in cystic acne. N Engl J Med 1983; 308:981-986. Vexiau P, Husson C, Chivot M. Androgen excess in women with acne alone compared to women with acne and or hirsuitism. J Invest Derm 1990; 94:279-283. Steinberger E, Smith KD, Rodrigues-Ridau LJ. Testosterone, dehydroepiandrosterone and dehydroepiandrosterone sulfate in hyperandrogenic women. J Clin Endocrinol Metab 1984; 59:47-477. Nader S, Rodriguez-Rigau LJ, Smith KD, Sternberger E. Acne and hyperandrogenism. Impact of lowering androgen levels with glucocorticoid treatment. J Am Acad Derm 1984; 11:256-259. Puhvel SM, Barfatani M, Warnick M. Study of antibody levels to Corynebacterium acnes. Arch Derm 1964; 90:421-427. Puhvel SM, Hoffamn CK, Sternberg TH. Presence of complement fixing antibodies to Corynebacterium acnes in the sera of acne patients. Arch Derm 1966; 93:364-368. Webster GF, Indrisano JP, Leyden JJ. Antibody titers to Propionibacterium acnes cell wall carbohydrate in nodulocystic acne patients. J Invest Derm 1985; 84:496-500. Holland KT, Holland DB, Cunliffe WJ, Cutcliffe AG. Detection of Propionibacterium acnes polypeptides which have stimulated an immune response in acne patients but not in normal individuals. Exp Derm 1993; 2:12-16. Puhvel SM, Amirian DA, Weintraub J. Lymphocyte transformation in subjects with nodulocystic acne. Br J Derm 1977; 97:205-210. Gowland G, Ward RM, Holland KT, Cunliffe WJ. Cellular immunity to P. acnes in the normal population and in patients with acne. Br J Derm 1978; 99:43-48. Kersey P, Sussman M, Dabl M. Delayed skin test reactivity to P. acnes correlates with the severity of inflammation in acne vulgaris. Br J Derm 1980; 103:651-655. Webster GF, Leyden JJ, Tsai CC, McArthur WP. Polymorphonuclear leukocyte lysosomal enzyme release in response to Propionibacterium acnes in vitro and its enhancement by sera from patients with inflammatory acne. J Invest Der 1980; 74:398 -401. 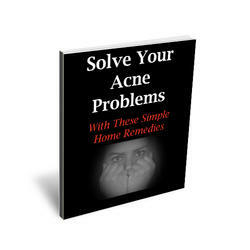 Solve Your Acne Problems With These Simple Home Remedies.